You're tired of shaving and waxing, consider a more permanent alternative. Home laser hair removal devices destroy hair at the follicle for permanent results. Most of today's home laser machines use diode or IPL technology. Diode laser technology is considered the best due to its precise ability to destroy the hair follicle and is used by dermatologists. 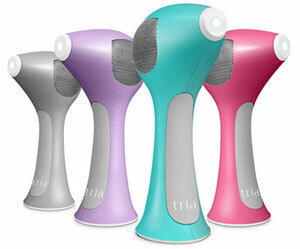 Home lasers systems which incorporate technology include the Tria 4x by Tria Beauty. Tria laser reviews on Amazon indicate that many users experienced reduced hair growth; unfortunately the Tria 4x is ineffective for those with darker skin tones or red, grey and blonde hair. According to Find My Home Laser, successful hair removal depends on picking the right device for your skin and hair color. One machine that does work for all skin and hair colors is the Me Smooth by Tanda. Professional treatments cost hundreds of dollars with numerous sessions required for permanent results. A hair removal device generally costs the same as one professional treatment.